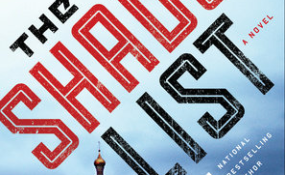 If you’ve are on the lookout for a fun, page-turning, Africa-inspired read, The Shadow List is a sure bet, writes Matthew Page. A diplomatic thriller that is part spy novel, part crime drama, with a hint of Nollywood, The Shadow List by Todd Moss is a gripping read. It is the fourth adventure featuring Judd Ryker, the State Department's wonky-but-by-no-means-wussy crisis manager. Fresh from averting international catastrophes in Moss' first three novels (The Golden Hour, Minute Zero, and Ghosts of Havana) the book begins with Ryker receiving a new assignment: find a U.S. investment banker who vanished after getting tangled up in a Nigerian-style advanced-fee scam. The Shadow List goes on effortlessly to transport the reader away from London's financial district, on to the stomping grounds of Washington's power elites, the Russian underworld, the treacherous back streets of Lagos, and the oppressively humid oil fields of the Niger Delta. As a longtime Nigeria hand and veteran of both Langley (the CIA HQ) and Foggy Bottom (home of the U.S. State Department in Washington, DC), I might have worried that the book would be replete with well-worn stereotypes: chisel-jawed spies, Boris-and-Natasha-like villains and menacing African gangsters. Instead, I found complex and nuanced characters as interesting as their real world counterparts. These include indefatigable prosecutor Bola Akinola, a cross between Nigeria's real-world anti-corruption agents and Eliot Ness from The Untouchables. Or Ryker's wife Jessica, the Ethiopian-born head of a CIA black ops unit. There is also Funke Kanju, a rabble-rousing internet-savvy investigative reporter straight out of the Sahara Reporters mold. Or U.S. Congressman Shepherd Truman whose personal crusade against international corruption seems too good to be true. Colorful characters aside, The Shadow List is also enriched by countless small but carefully researched details. These include realistic descriptions of CIA analytic techniques, a private dining room at a pricey DC steakhouse, and even a passing reference to ogorogoro: Nigeria's potent, paint-peeling version of moonshine. If like me you've are always on the lookout for a fun, page-turning, Africa-inspired read, The Shadow List is a sure bet. Matthew T. Page is a former State Department Africa analyst, consultant, and fellow with the Centre for Democracy and Development in Abuja. He is the author of Nigeria: What Everyone Needs to Know, forthcoming from Oxford University Press. Follow him on Twitter @MatthewTPage. Copyright © 2017 allAfrica.com. All rights reserved. Distributed by AllAfrica Global Media (allAfrica.com). To contact the copyright holder directly for corrections — or for permission to republish or make other authorized use of this material, click here.